Are you planning to move soon? If so, you're probably overwhelmed about all the packing you'll need to do. 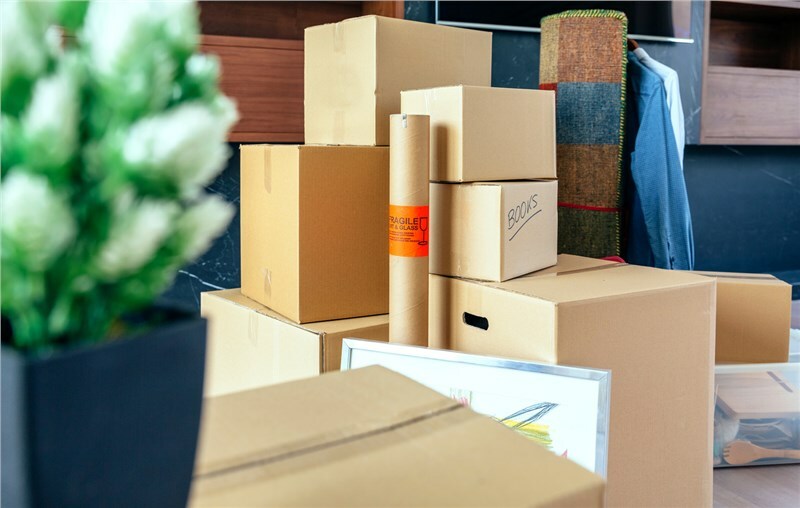 While most of your belongings can be packed, some items should not be placed onto a moving truck as they're hazardous or won't survive the move. Here are some of the types of items you cannot place in a moving van when moving locally or long distance. Because fires can occur in moving vehicles, flammable materials are prohibited. Any product with a label that says to keep it away from open flames cannot be packed. These common household items include those such as gasoline, kerosene, acetone, enamel, lamp oil, lighter fluids, matches, liquors, ammonia, bleach, pool chemicals, cleaning fluids, charcoal briquettes, adhesives, nail polish, nail polish remover, paints and oil stains. Don't load combustible or explosive items onto a moving truck. Of course, you know not to pack fireworks. But maybe you never thought this also includes aerosol cans, such as cooking sprays or deodorant sprays. In other words, any items that have the potential to explode, even if they contain a small amount of liquid, should not be shipped on a moving vehicle. Any materials considered as poisonous should not be packed as they can easily leak dangerous chemicals into anything that contacts them. These include items such as fertilizers, pesticides, insecticides and weed killers. You'll have to either dispose of them before you leave or find a safer transportation method. Loading perishable foods onto a moving vehicle can result in the foods becoming spoiled once they arrive at your new home. If consumed, they can cause food poisoning. If a particular food can't survive outside of a refrigerator, it's considered perishable and should not be loaded onto a moving van. Besides fruits and vegetables, you'll have to get rid of or give away all frozen foods, along with partially-used or opened foods and refrigerated foods. This also includes foods contained in glass jars. One of the main reasons for not loading plants on a moving truck is because plants can transfer parasites from one area to another place. Furthermore, plants are exceptionally fragile and can die in a moving vehicle as they'll be exposed to dark conditions and extreme fluctuations in temperatures. If you're only moving a short distance, you may be able to take your plants with you in your car, provided you have enough room. However, if you're moving long distance, your plants may not survive the trip, so it may be a good idea to give them away to friends or donate them to a local hospital or nursing home. If you ship any outdoor equipment or internal combustion engines, you'll need to completely drain them of gasoline, motor oil or any other type of fluid before they're loaded onto a moving truck. Don't pack cash, important documents (such as wills, deeds, bonds, stocks, and certificates), family photos, jewelry and sentimental items that cannot be replaced. Instead, take them with you in your car. Consider what you'll need before your shipment gets to your new home. One way to do this is by packing your suitcase as if you were going on a vacation. For example, you'll need essential hygiene products, about a week's worth of clothing, prescription drugs and some basic sleeping items, including a blow-up mattress. Other than canned goods, don't even pack non-perishable foods as they, too, can become tarnished, crushed or ruined. What's worse, they can attract pests. Even if your food containers are sealed, they're still at risk for becoming jarred open. In addition to damaging your own items, this can also affect other people's belongings that are on the same truck. Consider that trailers and moving vans are often checked by state and federal law enforcement agencies for illegal shipments. Don't forget to pack a few days' worth of pet foods for your pet. If your pet tends to be nervous in a car, check with your vet about giving your dog or cat a tranquilizer. On the other hand, tranquilizers can be harmful to older pets. Don't pack items that are temperature sensitive. Even musical instruments can be damaged by extreme temperature changes, so make other arrangements for their transportation if you can't take them with you in a car. Moving doesn't have to be a hassle when you leave this job to the highly trained and experienced moving professionals at Solomon & Sons Relocation Services. Please contact us and learn more about how we can help your next move be as smooth as possible.